Knit Indian Blankets are offered in acrylic or merino yarn. 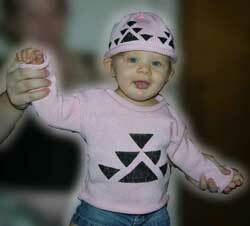 Darlene has designed many knit products with the Native American Basketry motifs. Knit Caps and Knit Blankets are among her specialty items. These items are produced individually on hand knitting machines. Hand knitting machines or handlooms as they are sometimes called, allow for faster production, while still maintaining handcrafted qualities. It is important to Darlene that her designs are affordable to all people. Therefore, she offers them in Acrylic fibers as well as the finest Merino Wool. Some of her baby hats are knit with cotton. Her knowledge and pride in her heritage is shared with you as a recipient of one of these quality products. 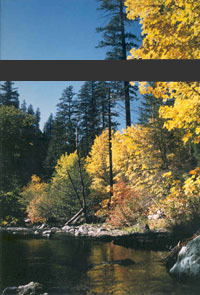 With logging and fishing income in this region on the decline, jobs are hard to come by. Darlene Marshall has a dream to expand this artistic endeavor to create income for several members of her family. 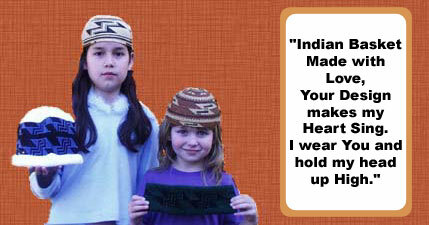 This dream is coming into a reality today with her cottage industry "Native Design & Art"
Photo of Darlene's granddaughters wearing the woven basketry hats and holding the knit cap and headband. Darlene Marshall shows her knit Indian products at Western Pacific Traders Gallery Show. 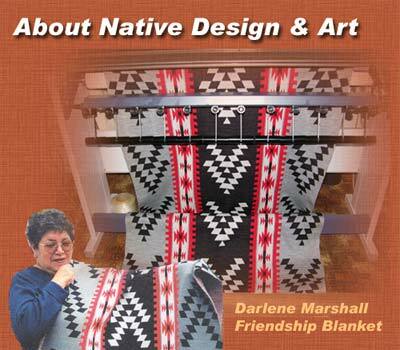 Darlene has shown her Native Art work on knits at different Indian Shows, Pow Wows and Indian Gallery Shows. With traveling away from the reservation becoming more difficult, Darlene sells her knitted products both retail and wholesale through The Knit Tree. 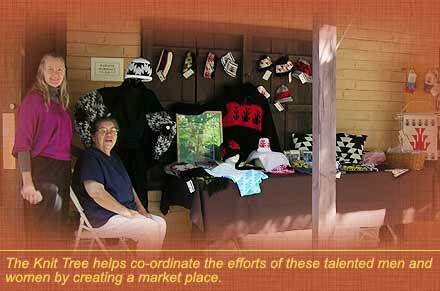 Sharon Nani, owner of The Knit Tree, is an authorized representative of Native Design and Art's knitted products. Native Design and Art enjoys painting on the natural fibers too. The cotton baby clothes with hand painted Indian designs are a special way to honor the little one wearing the knit baby cap and sweater. These are special order items. So items are available as they are painted. Go to the Native Hand Painted Knits Category of The Knit Tree Store to See What is Available for Sale. It is still done with a category division so that we get the automatic horizontal white line below it dividing it from the bottom content includes file.